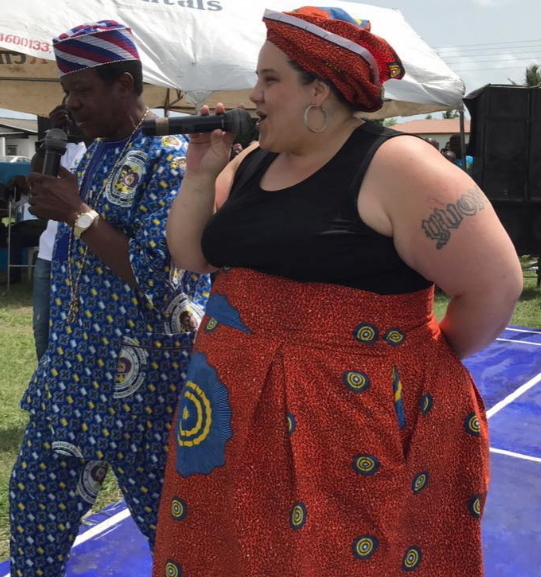 Nollywood actress and gospel singer Nikki Spooner who fell in love with Yoruba language after listening to King Sunny Ade song is now able to speak the language fluently. Today she is getting ready to launch her album in Lagos. The event will hold on the 14th of May in Ikeja Lagos. 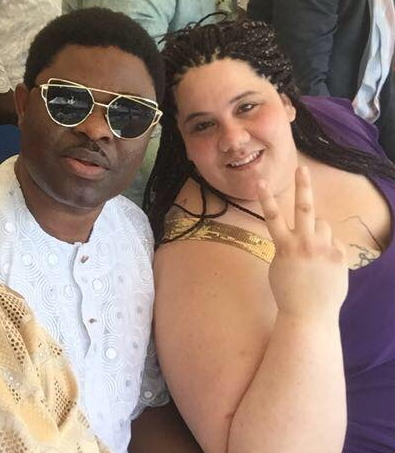 Spooner who made her Nollywood debut in Baba Lawal in America now has nine movies under her belt. You speak Warri Pidgin fluently and you can also sing in Yoruba language, what is the attraction? I believe in the culture, I love the Yoruba culture; it is very rich. That was what attracted me in the first place. Then one day, I was learning to cook Nigerian food, I was making Egusi soup and I heard King Sunny Ade singing ‘Merciful God’ on radio and I was like ‘wow!’ I couldn’t even speak the language but the music touched my spirit so, I decided to learn it. I started learning the language from that day. You sing in Yoruba. What was your first point of contact with the language? 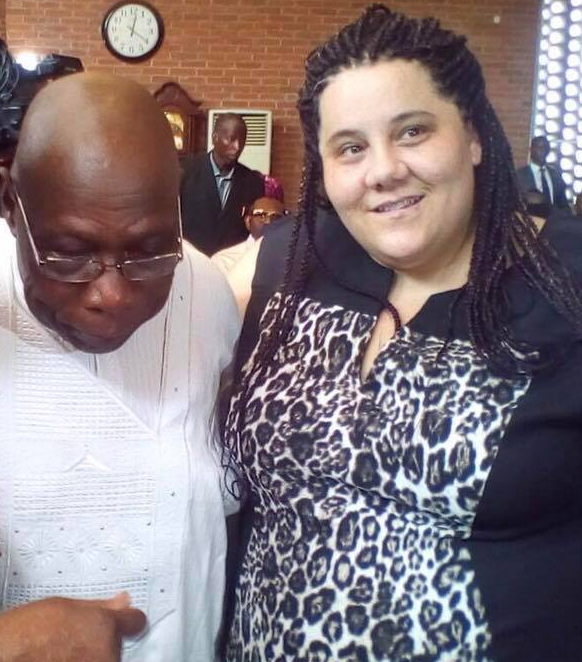 I was invited to a marriage introduction in Lagos and when I got there, I could remember being like ‘oh my God! This is the way it should be.’ A woman should be so hidden and a man should seek permission and prostate in front of the family if he wants her. He shows his intent that he wants to take their daughter. We don’t have that in America. This is something women in America would want to relate with, somebody wanting you more than anything and having to prostrate before your family. How did your love for Warri Pidgin and Nigerian comedy start? I heard this super funny comedian’s skit and I was like ‘I don’t understand all of what this guy is saying but I could get most of it’ and I was like ‘no, I need to learn more’. So, that was how it started. As you see me so I dey speak pidgin well well-o (laughter). Tell us about growing up? I grew up rough. Most Nigerians think that all Americans are rich. I grew up in a bad neighbourhood, in a family that is actually racist. I was abused physically by my parents. I did not live the silver spoon lifestyle attributed to Americans. But I thank God for that experience because it allowed me to humble myself in places that other people might not. Have you always wanted to be an actress and singer? I can’t imagine a time I wasn’t singing. I currently sing in five languages including Italian, French, Yoruba and I am learning to sing in Igbo. There are other dynamic sides of me. I am also doing an NGO here in Nigeria, International Support for Humanity. 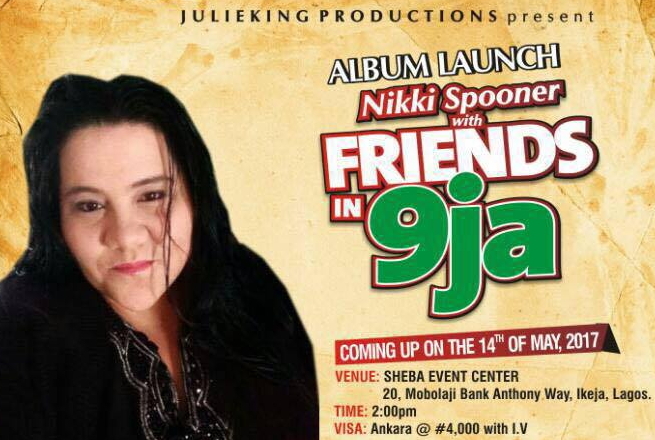 The branch is in America but I want to officially launch it in Nigeria during my album launch on May 14. I am launching a complete Yoruba album on May 14. I wrote all the songs. We have six tracks. I have been singing in Yoruba for four years and I have been doing it professionally for two years here in Nigeria and abroad. In the US, I go from church to church and the message is simple, you cannot pocket God. What is your take on Nollywood? Nollywood is huge. The world is paying attention right now and everyone has an opportunity to step up their game and start getting paid good money like American actors. If we continue to develop Nollywood, it is going to be the best asset Nigeria has. I love God and I believe everyone should try and find their own sense of God. I believe that everybody has their own God in their own way. I don’t discriminate against any religion. I performed at a Yoruba festival and I sang gospel music; it has never been done before. The reason is that I believe we are all free to believe in what we believe in, but we must live together. As a gospel musician here in Nigeria, if you do anything else you are kind of shunned but I want to change that perception because I love my God and I serve Him wholeheartedly. Although, I sit here with tattoos on my body and I may be wearing a tank top but by mind is focused on God and I glorify Him at any opportunity. How did you pick up Nigerian Pidgin English so easily? It is the accent that I had to learn and not the words. If you have the accent you can pick up any language. I listen to people talk and I picked up the accent and that Pidgin will take me across West Africa. I would lovely consider it an option if it comes to pass, but right now I am really enjoying God and basking in His presence. As long as he is God fearing I don’t get to choose. It is God who chooses who you marry. When you start to choose for yourself, you end up in problems. My dream has actually been accomplished. I was at the anniversary for Oba Akran in Badagry and I sang on stage with Sunny Ade. There is no bigger dream for me than to sing on the same stage with King Sunny Ade. What does KSA mean to you? He means the world to me. When you find the originality of something in someone, you are blown away. His music moved my spirit enough for me to learn a language. I wish you understand what that actually takes. When you can move somebody enough to do something you are just awesome!